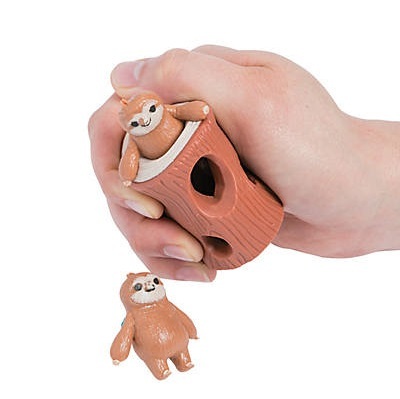 Stretch and play with this rubber sloth in a tree. 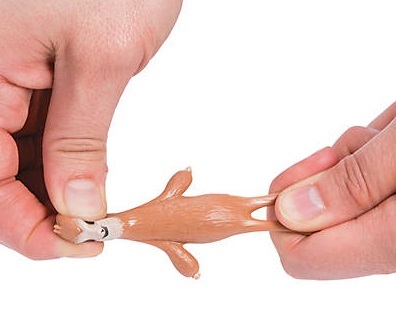 Spend hours squeezing and threading these little sloths through the tree! See if you can hide the sloths so that they are hardly showing! Great for use as a fidget toy and to promote the development of fine motor skills. A great way to promote the development of buttoning skills! Includes one tree and two sloths. The sloths can detach from the tree portion.